Gardening has long since been practiced by many, and oftentimes the knowledge of which is passed down throughout generations. However, to even the most seasoned gardeners, there are those little bits of information and interesting facts which those before us may not have revealed. How often does a Century Plant flower? Most gardeners, new and experienced, know how much flowers rely on bees and other pollinating insects in order to thrive, but were you aware that many types of insects are actually dependent on flowers as well? In fact, without flowers, these insects would die due to a lack of protein or carbohydrates. Plants have many flowering habits; yet, there are a few of which some may not know. While most plants produce flowers each year, did you know that the century plant (agave americana) will only produce one flower in its lifetime after a time period of several years? Once the flower has bloomed, however, the plant dies. Were you aware of the fact that of the various types of bamboo, those belonging to the same species bloom at the exact time, regardless of their whereabouts? Everyone knows that flowers come in many shapes, colors, and sizes. Even so, some of us may not have been aware that the largest flower, called Rafflesia, can reach up to three feet in size or that the smallest flowering plant, called common watermeal (wolffia columbiana), is only about one millimeter. Did you know that while the common sunflower may appear quite large, it is actually made up of hundreds of tiny flowers, all of which produce seeds? 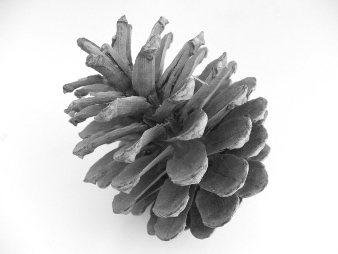 What weather does an open Pinecone predict? Most plants, of course, should not be eaten. For instance, the Hydrangea, a commonly grown bush, is quite toxic if eaten. This plant contains a substance call hydrangin, which produces cyanide once broken down. Also, beware of those seeds you might be consuming. Those coming from the Castor-oil plant can be fatal; it takes just one bean from the plant to kill an adult. On the other hand, many types of plants are edible. For example, did you know that whenever you ingest a fig, you are actually eating a flower? Quite often dandelions are eaten once cooked, and in England these ‘flowers’ have been declared endangered wildflowers. In actuality, dandelions are weeds. Weeds are typically labeled simply as plants that grow in unwanted places. Weeds are also commonly associated with superstitions, such as buttercups foretelling your taste for butter or four-leaf clovers bringing good luck. Did you know that weeds can also help evaluate your soil needs? The presence of sorrel within your landscape may indicate dry soil while the presence of nettle points to poor drainage. Chickweed, although a nuisance, often means the soil is quite fertile. Traditionally common among gardeners is weather lore. While most people have heard various tales, such as upturned leaves on trees foretelling approaching rain or the black stripe of the woolly worm predicting a good or bad winter, did you know that when spiders are seen taking down their webs, it is said to mean a storm is imminent or seeing caterpillars in late fall indicates a mild winter? Pinecones, as well, help predict weather. If a pinecone is seen closed, rain is on the way while an opened pinecone indicates warm, dry conditions. 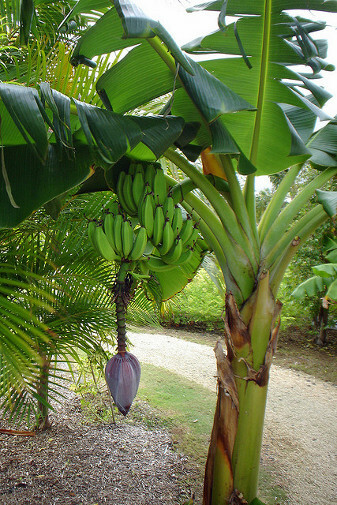 What type of plant is a Banana Tree? Vegetable gardening has always been popular among those with a fondness for plants, but did you know that many commonly grown plants are not what you thought they were? For instance, banana trees are actually considered herbs. Ever heard of banana oil? This product has nothing to do with bananas at all; the oil is produced from petroleum. A pineapple is really a berry, as are oranges, lemons, watermelons, and tomatoes. Tomatoes were once thought to be poisonous; in fact, the pilgrims considered growing them to be an abomination. Yet, today these fruits are the most commonly grown item in a garden. Were you aware that most peppers contain six times as much vitamin C as oranges? An onion is really a lily as is asparagus and many pumpkins are actually considered to be squash. There have also been certain issues deemed controversial today that were once widely accepted. For example, tobacco was once grown for and prescribed to people suffering from headaches, toothaches, arthritis, and bad breath. Today, however, tobacco is known to cause many health problems, including bad breath—ask a smoker. The herb plant, Marijuana, is illegal now; however, did you know that two of our country’s forefathers, George Washington and Thomas Jefferson, once grew this plant on their plantations? Herbs have long since been used for medicinal purposes, but you were aware that it was once considered acceptable to sleep on thyme, a popular kitchen herb, in order to cure those suffering from epilepsy? The ever popular daisy has been long considered as the gardener’s best friend. The flower is thought to treat bruises and sore backs. Did you know that St. John's Wort was once forced in the mouth of accused witches to make them confess or that throughout history has been used by many cultures to exorcise demons and spirits? Gardening has been around for centuries, as have plants. However, did you know that ferns have been around for nearly 300 million years or that the Creosote bush dates back as far as 11,700 years? Were you aware that an oak tree is nearly 50 years of age before it actually begins producing acorns? From ancient times to the present, we have gardened and will continue to do so, passing onto others that which we have learned. Yet, there may still exist, along the way, those fascinating little things we never knew. Home for interesting gardening information about plants and flowers plus much more at Piglette.